Who doesn't love the look of elegant foil printing? But until now, the cost of adding foil to an invitation was cost prohibitive for many. 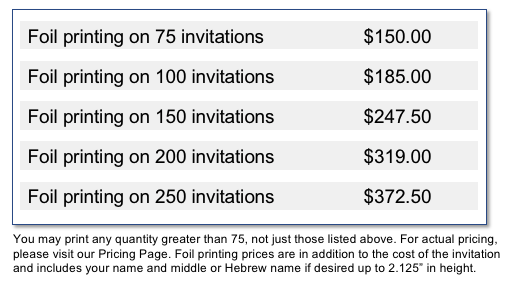 EventPrints is proud to introduce our new foil printing at prices that may surprise you! We'll digitally print your name in real foil for prices starting at just $150 for 75 pieces. You may select any quantity of 75 or more, not just those listed. Please note: foil prices are for a single line of no more than 2 1/8" tall. Compare our foil printing prices to traditional foil printing, and you'll realize savings of 60-70% or more! Why pay $400 or more for 150 invitations at other invitation companies when our industry leading price is hundreds less! 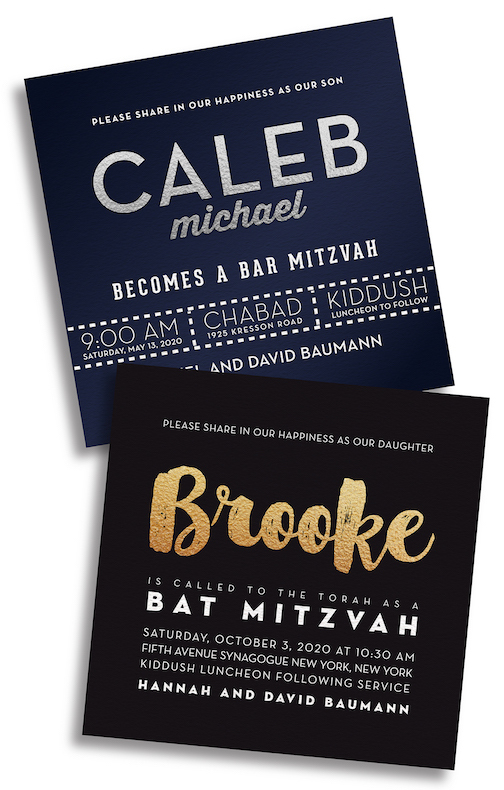 When you order invitations with foil printing from EventPrints, you receive beautiful designs, sophisticated foil and prices that no one else dares to offer! Please note, foil printing colors may not match other printed ink colors, even if they look similar on screen or on your proof.